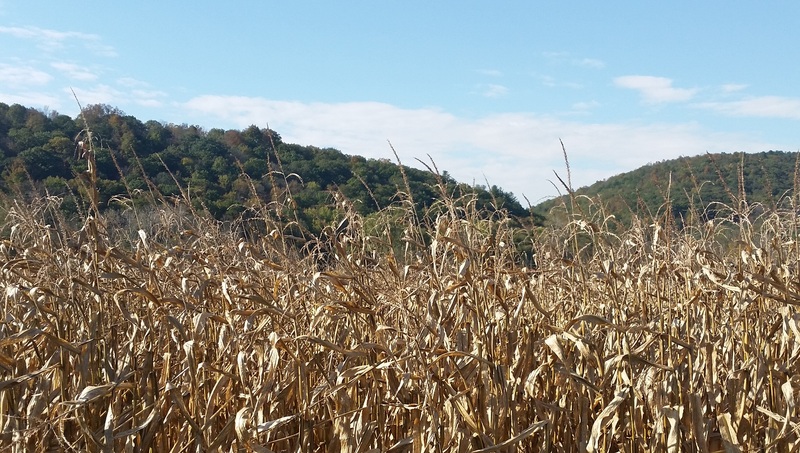 The Bradford County Agricultural Land Preservation (BCALP) Board is excited to announce the preservation of a 243-acre crop farm in Athens and Ridgebury townships. Located on the bank of the Chemung River, the French Farm (above) is surrounded by gravel businesses and received numerous offers to buy the land. Owners, Marshall and Dudley French, wanted to see this prime farmland remain in agriculture production. Thanks to county and state funding for the BCALP program, these 243 acres are now protected, from non-agricultural development, forever. The Pennsylvania Agricultural Conservation Easement Purchase Program has preserved 557,613 acres on 5,399 farms in 59 counties for future agricultural production. Since the program began in 1988, federal, state, county and local governments have invested over $1.4 billion in farmland preservation. The program helps the state, county, and local governments purchase conservation easements, or development rights, from owners of quality farmland. The initiative is designed to identify and preserve farmland to slow the loss of prime farmland to non-agricultural uses. The Bradford County Agricultural Land Preservation Program was established in 2001. The program has preserved 17 farms and 4,146 acres in the county. In 2018, BCALP received 26 qualified applications for over 5,700 acres. Hopefully, these farms will be preserved in the future as funding becomes available. The next program application period is January 1 – 31, 2019. For more information go to www.bccdpa.com/farmland-preservation or contact Amy Kneller at 570-485-3119.